Sean’s past clients will gladly tell you that he is a highly motivated, ambitious and intelligent Realtor with a laser-sharp focus on every little detail. He works extremely hard, loves a challenge and offers a professionalism and dedication that most Realtors cannot offer. His new clients quickly realize that his dedication, honesty, diligence and perseverance are the reason that he excels in the Real Estate industry. Sean’s extensive business and management experience, combined with over 30 years of customer service and sales experience has taught Sean how to listen to his clients and how to fully understand the needs of both buyers and sellers. This understanding of what the client wants allows Sean to exceed all expectations. Sean not only has an ability to explain the buying, or selling process in great detail and with an ease that will make every client completely understand every step along the way, he stays in close contact with them to keep them informed. His clients can call him anytime, with any question and he’ll be there for them. For buyers, Sean offers his “Premium Buyer Program,” and an extensive knowledge of local neighborhoods, communities, schools and regional market conditions. He has a tireless commitment to finding the perfect new home and to never quit until the buyer is happy. For sellers, Sean offers his “Premium Seller Program,” with a focus on accurate home price evaluation and a solid marketing plan that utilizes Sean’s 16 years of extensive Internet marketing experience. This global exposure benefits the seller by quickly introducing the property to more buyers, which creates the opportunity for a rapid sale and potentially more money. Sean’s ability to put together a strong deal for his clients, along with his special talent of negotiating guarantees that his clients win every time. 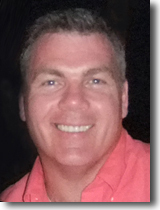 When you are looking for a South Florida Realtor to help you buy, sell, lease, or invest in property, look to Sean Keady. You will quickly learn why his past clients speak so highly about him.